A new automation age is happening, requiring people and technology to work hand in hand. 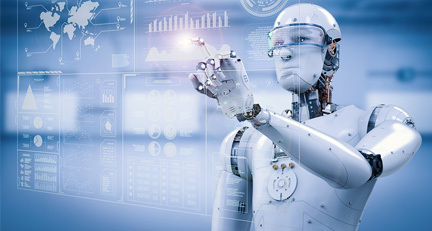 Developments in robotics, artificial intelligence and machine learning have begun to bring considerable benefits to business and economies globally. From building better products and efficient operations to delivering faster productivity and quality service, these promising technologies offer enormous value to organizations that adopt them at broad scale. But using these technologies and succeeding in this fast-evolving world of automation can be challenging. Tackling the implications of automation on workforce, capturing business value, gaining competitive advantage, determining IT engagement level, building in-house capabilities and operating models – the struggles and misconceptions are many for clients to fall into as they begin to explore the potential of automation and its viability to their organizations. 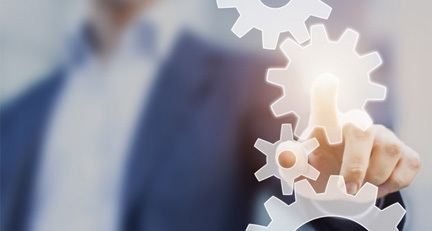 We help clients capture the opportunities from automation by focusing on big wins at broader scale engaging IT and workforce, rethinking operating models and organizational capabilities, to ensure sustainable value realization through contributions of automation. VertexPlus helps its clients to adopt these emerging technologies to change the way they work. Automation has always simplified all the complicated tasks of a firm by reducing them to a single instance. It’s a process of execution of various tasks at once without any periodic interference. 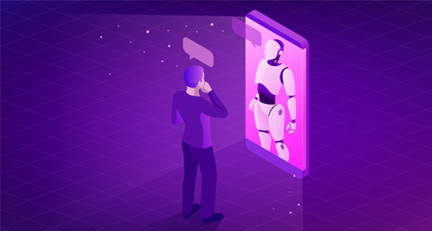 The automation of a range of routine work activities and sometimes accomplishing cognitive capabilities historically considered difficult to automate enables organizations to improve productivity and performance and help them capture strategic and financial benefits from it. Automation is a process that can be implemented in various industries and functions. The pace of automation, the activities most suitable for automation, and the impact of automation varies across different industries, activities, skill levels, cost, and competition dynamics. Automation does not happen overnight. It takes years for the outcomes of automation to play out fully on current activities. The effects of automation is slow at macro level and fast at micro level. Automation has not just provided ease to the humans but has also given them an improvisation in productivity, saved a lot of their time and reduced the cost. It has increased the availability of human resources and given them complete satisfaction in work with a lot of efficiency. It has also given an advantage to the owners of completing tasks that were too difficult for humans to do. Automation has been named as the creation and up gradation of technology. We can say that productivity is an obvious advantage of automation but nevertheless, reliability has also served automation a big boost. From the time it made a buzz in the market, people have started using tools that could help them. And from the initial time reliability has always been the backbone of automation. Automation gives performances a much-needed boost by reducing the errors and improving quality and speed. Every organization works to get the output and will want all its employees make the most of their opportunities by giving their best. Please provide the information about your business needs to help us serve you better. This information will enable us to route your request to the appropriate person. You should receive a response within one to two business days. Vestibulum ante ipsum primis in faucibus orci luctus et ultrices posuere cubilia Curae; Vivamus convallis vestibulum suscipit. Suspendisse vel tempus tellus, quis volutpat nibh. Ut dignissim augue tellus, at imperdiet orci hendrerit vel. Pellentesque et porttitor elit. Phasellus quis mollis neque. Duis eleifend orci a vehicula rhoncus. Etiam varius tincidunt augue a consequat. Maecenas luctus cursus odio ut mollis. Nulla pellentesque nulla sed est ultricies iaculis. Mauris mollis aliquet enim id ultrices. © 2018 VertexPlus Softwares Pvt. Ltd.